Throughout the month of February the GOBCC will be collecting non-perishable food items to donate to Tiger Pantry. A list of needed items can be found at: TIGERPANTRY.MISSOURI.EDU. A drop off bin will be available in the GOBCC or you can donate to the organizations that are listed who are collecting items on behalf of the food drive. 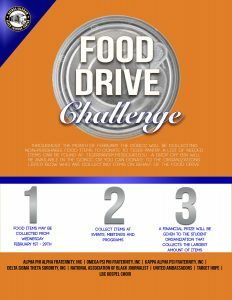 Food items may be collected from Wednesday February 1st-29th.